The study of Genesis helps us understand much about the world we inhabit. Because it maps the beginnings and development of human society, it provides perspective on our own times. In our exploration of this book of origins we have arrived at the immediate post-Flood world, about 4,000 years ago—the time when the legendary leader Nimrod began to build cities (Genesis 10:10–12). These great construction projects embodied Nimrod’s antagonistic attitude toward God. His first city, Babylon, has become a symbol for all that is ungodly about human behavior and sheds light on the problem of evil in our world. Beginning with the founding of Babylon by Nimrod, “who was the first powerful ruler on earth” (1 Chronicles 1:10, Complete Jewish Bible), the Hebrew Scriptures tell of God’s interruption of the building of the Tower of Babel (Genesis 11) and the city’s subsequent interactions with the kingdoms of Israel and Judah (2 Kings 20:12–13; 2 Kings 24) in the eighth through sixth centuries B.C.E. It is perhaps because of this ongoing history from Nimrod’s Babel to Nebuchadnezzar’s Babylon that the city became a symbol for human pride and arrogance. The prophets Isaiah and Jeremiah spoke of Babylon’s characteristics and its eventual fate (see Isaiah 13; Jeremiah 50, 51). It was the deportation of Jewish captives to Babylon by King Nebuchadnezzar (605–562 B.C.E.) that provided the geographic backdrop for the Hebrew prophets Ezekiel and Daniel. This captivity was such a seminal event that it is used as a major biblical reference point. For example, it is mentioned in Matthew’s genealogy of Christ and Stephen’s history of Israel (see Matthew 1:11, 12, 17; Acts 7:43). The ultimate use of Babylon as symbol is found in the book of Revelation, where the city stands for all that is evil in present and future human government, religion and society—the system that God will finally destroy forever: “Babylon is fallen, is fallen, that great city, because she has made all nations drink of the wine of the wrath of her fornication” (Revelation 14:8; see also chapters 17 and 18). Though many view these early accounts in Genesis as fictional, their reliability is based on archaeological evidence, the transmission of records from ancient times (much closer to the events they describe than to today), and the testimony of Jesus Christ and His followers. Once the repopulation of the earth began, people moved east toward the cradle of civilization from Mount Ararat, where the ark had come to rest. They gravitated to the great plain of the land of Shinar (Mesopotamia/Babylonia). Genesis notes that at the time, “everyone on earth had the same language and the same words” (Genesis 11:1, Tanakh). Under these circumstances of a unified language and vocabulary, if Nimrod could bring humanity together with a common goal, much could be achieved in defiance of God. Using baked bricks rather than hard-to-find local stone, and asphalt for mortar, Nimrod organized men into teams of city builders. By making bricks people liberated themselves from natural stone and its deposits. Civilization, which draws large groups of people together, begins with the brick. The initial aspiration was to fashion a walled city and a tower to challenge heaven, to gain a reputation for self-sufficiency and power and to oppose God’s post-Flood instruction to spread out over the earth (9:1, 7). God’s intervention in Nimrod’s initial project caused him to seek alternative places to build, and so other cities soon followed in nearby Assyria, coalescing in the capital Nineveh (10:11–12). Exactly how God intervened is detailed in chapter 11. What had happened in the centuries leading up to the Flood was a precipitous descent into violence and godlessness such that the Creator became so disillusioned with humanity that He determined to bring an end to that era of civilization. Now a similar trend asserted itself in the post-Flood world. It had not taken long, but God had promised not to make an end of humanity again (8:21–22). The alternative was to limit the ability of humankind to communicate their defiance of God. The building of the Tower of Babel was a prideful human attempt to “reach the heavens.” This is reminiscent of the story of Satan’s rebellion prior to the creation of man when he rose to heaven in an attempt to dethrone God, as explained by the prophet Isaiah—an account that is framed in terms of “the king of Babylon” (Isaiah 14:3–4, 13–14). So it was that the God beings mentioned in the first chapter of Genesis came to see and subvert the weak attempt to reach them by building the tower: “Come, let Us go down and there confuse their language [“Babel” sounds like the Hebrew for “confused”: balal], that they may not understand one another’s speech” (Genesis 11:7). They did this because humanity would have deteriorated very quickly otherwise: “And the Lord said, ‘Indeed the people are one and they all have one language, and this is what they begin to do; now nothing that they propose to do will be withheld from them’” (verse 6). Human beings, left to their own resources by the creator, are in the gravest danger because of their aspiration to burst their created limits, to acknowledge no longer that they stand before God, but to be like God or to reach to the heavens with their works. The classic tower image and the story of Babel’s diversification of human language has its roots here; what most do not realize is that the real problem at Babel was arrogance, pride, ingratitude and the proclivity to shut God out of human life. What happened on the plain of Shinar was simply a continuation of the development of human civilization and promotion of “the way of Cain” (Jude 11). It was he who built the first city recorded in the Bible and whose descendants fell into the violence and perversity that brought on the Flood (Genesis 4:17–23). This first section of Genesis 11 provides a bridge between the primeval world and the patriarchal age. The account of immediate post-Flood developments and the troubling trajectory of humanity is about to be offset by the history of Abraham (initially called Abram) and the beginning of a new kind of community based on spiritual principles. Our introduction to the patriarch’s line is by way of two toledoths, or genealogies: of Shem and of Terah. The toledoth of Shem (11:10–26), which is Hebrew for “name,” provides the beginning of the link to Abram, who will acquire a name. What is happening is that the story line is moving from the universal to the particular. It narrows from the dispersed nations to one man. The survivors of the Flood were to repopulate the earth, and their possibilities have been outlined in the Table of Nations (chapter 10). Three times since Creation, man has failed God: in Eden, in the pre-Flood world and at Babel. Now an individual and his family are to become the vehicle for the unfolding of God’s plan for the Spirit-led community. Only Noah’s son Shem, the eldest, and his line are selected for development of this relationship. His descendants are later listed as “Arphaxad, Shelah, Eber, Peleg, Reu, Serug, Nahor, Terah, and Abram, who is Abraham” (1 Chronicles 1:24–27). Several of those named are notable. In Genesis 10, Shem is said to be “the father of all the children of Eber” (verse 21). Most scholars identify Eber (or in Hebrew, Ever) as the root of Ivrit, the Hebrew word for “Hebrew.” Of the fifth generation son, Peleg (in Hebrew, “division”), it is said, “In his days the earth was divided” (verse 25). This is likely the dividing of the world into different language groups at Babel. As we have seen, Nimrod represented a way of life contrary to God. Abraham will come to symbolize a very different way. The toledoth of Terah (Genesis 11:27–25:11) is very long because it concerns what became of his firstborn son Abram, whose detailed history takes up a significant portion of the rest of Genesis. With chapter 12 the focus turns to this individual and his primary descendants. God will mainly be concerned with them for the next two thousand years. In Ur of the Chaldees, God had commanded Abram, “Get out of your country, from your family and from your father’s house, to a land that I will show you” (12:1). If Abram would follow this very direct instruction, God promised, “I will make you a great nation; I will bless you and make your name great; and you shall be a blessing. I will bless those who bless you, and I will curse him who curses you; and in you all the families of the earth shall be blessed” (verses 2–3). This is the first of God’s direct encounters with Abraham, in some of which this promise is expanded. Here he is promised what Nimrod aspired to without God: a great name. Abram will also become the father of a nation and receive God’s blessings. The land to which he is to journey is at this point unknown. The book of Hebrews confirms that “he went out, not knowing where he was going” (Hebrews 11:8). This is the sequence of events by which Abram arrived in the land of promise: Following his call by God, he left the city of Ur with his family (Genesis 11:31). They traveled with his father Terah to the family’s original home in Haran in northwestern Assyria. There Terah died (verse 32), and Abram had either already moved on south to Canaan (“a land that I will show you”) or he left after his father died—the details are not easily reconciled (see 11:26, 32; 12:4; Acts 7:4). But at this point he had left his country, his family, and his father’s house behind, and God’s blessings were about to begin. Accompanying Abram were Sarai his wife, Lot the son of his deceased brother Haran, and their servants. They traveled through Canaan to the Oak of Moreh just outside Shechem, where God appeared to Abram and promised that the land would be for his offspring (Genesis 12:7). This is the first iteration of the Abrahamic Covenant. In what became a practice of the patriarchs, Abram built an altar to God there. Then he traveled on to Bethel, where he pitched his tents and built another altar (verse 8), and on to the Negev (verse 9), the desert region on the way to Egypt. Having entered Canaan, the land of promise, Abram was now living a nomadic life. This is symbolic of his new life in this world. The book of Hebrews observes, “By faith he dwelt in the land of promise as in a foreign country, dwelling in tents with Isaac and Jacob, the heirs with him of the same promise; for he waited for the city which has foundations, whose builder and maker is God” (Hebrews 11:9–10; see also verses 13–16). In contrast to Nimrod, who built his own cities and way of life in defiance of God, Abram was to wait for the spiritual city that God is building and to live according to God’s ways in anticipation of its completion. None of this is to imply that Abram was perfect in his way of life. He was just beginning to learn to follow God, to have trust and faith. He was journeying toward the goal. His immediate visit to Egypt was to avoid famine in Canaan (Genesis 12:10–20). It demonstrates both his human weakness and God’s intervention to protect and preserve him. Sarai, now at least 65 years of age, was a very beautiful woman. Because Abram knew that the Egyptians might steal her away and kill him, he asked her to say that she was his sister to preserve his life and to benefit herself. This was not an outright lie—she was his half sister (see Genesis 20:12, where Abraham repeats his half-truth to another ruler)—but it was a deceit that led to a number of problems. Not only were Pharaoh and his household cursed for his unwittingly taking Sarai as his wife, but the stay in Egypt also resulted in Abram acquiring wealth and servants that led to difficulties in his household for a long time to come: After being freed from Egypt by Pharaoh, Lot’s herdsmen fell into intense disagreement with Abram’s over animals and possessions (13:5–12). Further, it is likely that one of the maidservants Abram was given in Egypt was Hagar, with whom, as we learn in later chapters, he fathered Ishmael, the cause of dissent between Sarai and Hagar (chapter 16). The resulting conflict (chapter 21) between Isaac—Abram’s son with Sarai—and Ishmael is one of the roots of the Middle East’s long-lasting animosity between Jew and Arab. Despite these outcomes, God was intent on carrying out His plan for Abram and providing the blessings He had promised. This did not result in denying blessings to Lot, Hagar and Ishmael. We also learn later that Abram was able to rescue Lot and return his possessions after he had been taken captive by warring kings from nearby territories including Babylon and Elam (chapter 14). And we see God’s hand in protecting and blessing both Hagar and her son Ishmael, who was also destined to become the progenitor of innumerable people (16:10–12; 17:20). But returning to chapter 13, it is with Abram and Sarai that God is now primarily concerned. The friction with Lot is resolved when Abram gives his nephew the option of choosing land where he prefers to make his home. He decides on the well-watered fertile plains of Jordan, close to Sodom and Gomorrah. Though at first still a tent-dweller, his access to Sodom will lead him into great danger. 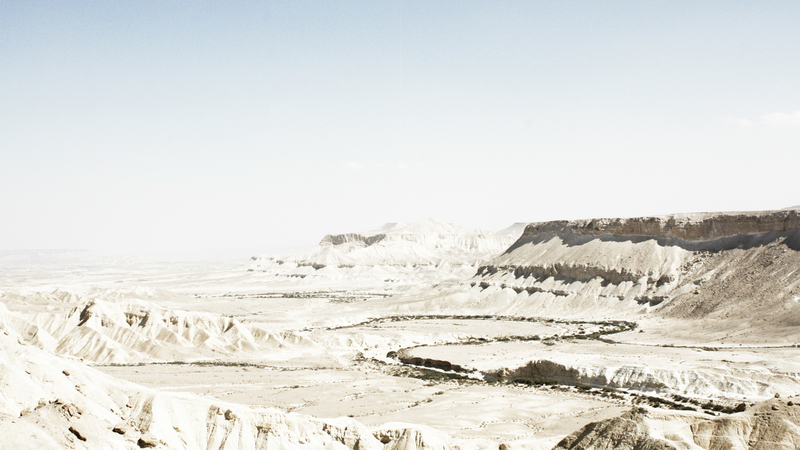 Abram is left to tend his herds and flocks in the high country of central Canaan (verses 10–12). It is in the aftermath of the separation from Lot that God, as Yahweh, speaks again to Abram. This time He promises the land in all directions to Abram and his innumerable descendants forever (verses 14–17). With this reiteration of the covenant in expanded terms, Abram moves his tent to the area of Hebron, south of Jerusalem. The next chapter tells the story of the invasion of four confederate kings and Abram’s triumph over them. The conclusion of the account brings Abram face-to-face with the priest of “God Most High” (El Elyon) at Jerusalem (14:18). The priest is identified as Melchizedek, Hebrew for “King of Righteousness.” In this unusual encounter we witness Abram receiving bread and wine from the priest and being blessed by him. In response, Abram gave him a tithe of the spoils of war. By the time the book of Hebrews was written in the first century C.E., the followers of Jesus understood that Melchizedek was an incarnation of Yahweh, who would come on the earth two thousand years later as Jesus Christ (see Hebrews 7:1–3). The covenant between God and Abram is repeated in chapter 15, where Yahweh shows him in a vision that, despite Sarai being unable to conceive and Abram being old, they will have a son to continue their line (verses 1–6). This promise and its fulfillment is where we’ll take up next time.